To see Kyoto Imperial Palace, visitors usually have to make a reservation in advance. However, there are two times a year when everybody can go inside the gate, in the spring and autumn. Visitors can see the actual spot where coronation ceremonies have been conducted, called Shishinden. Some of the buildings here were built in 1855 in the style of the Heian Period (from 794 AD), which is when the capital was moved to Japan. For the spring 2015, it is open for public from April 3rd to 7th. For those who plan to visit the palace during this period, do not leave before viewing their cherry blossoms. 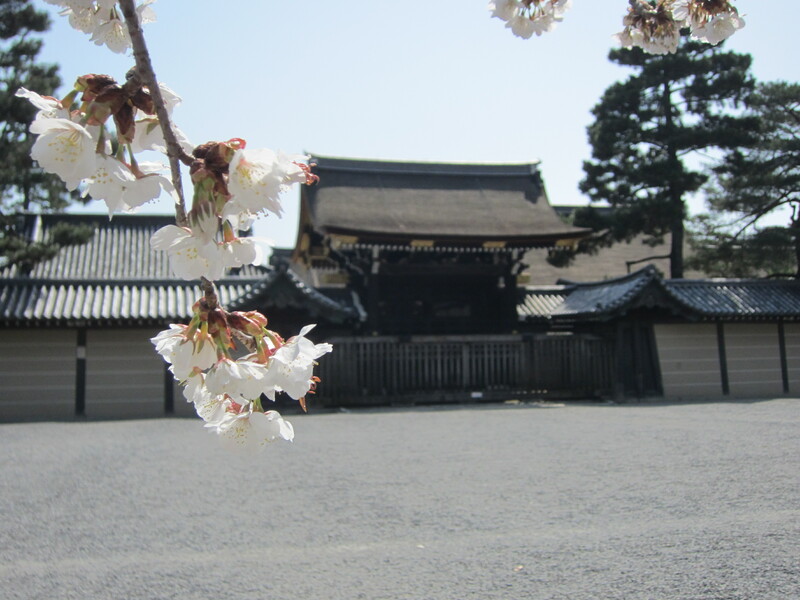 Kyoto Imperial Palace and its park are famous for having beautiful cherry blossoms. The cherry trees can be seen on the north side of the park. In addition, there is a short concert of traditional Japanese instruments from 10:00 and from 11:30 on April 4th. And also on the 5th, there is a Kemari (traditional Japanese ball game) performance from 10:00 and from 11:00.